Used daily in accounting and business, assets and liabilities are the fundamental elements of your company’s financial position. This provides a company a “snapshot” of their current financial condition. Let’s take this same principle and apply it to our Life Audit. What are your assets and liabilities? I’m talking about personality traits, skills, habits, etc. Refer to your “post-it under your Character/personal Development category that you created last week. Take a moment to list your assets and liabilities in your Life Audit notebook or journal. I’ve included an assets and liabilities worksheet in this week’s workbook to help you map it out. Download your Week 1 Workbook Today! The Workbook includes all the tools you need to complete this week’s assignment. Does your way of living reflect them? If not, why and what can you do to change that? Now that you have a snapshot of whom you are and what you believe, what things do you want to improve? What do you want to eliminate? What are some things you can do to push you closer to the person you want to be? It’s time to create an action plan. 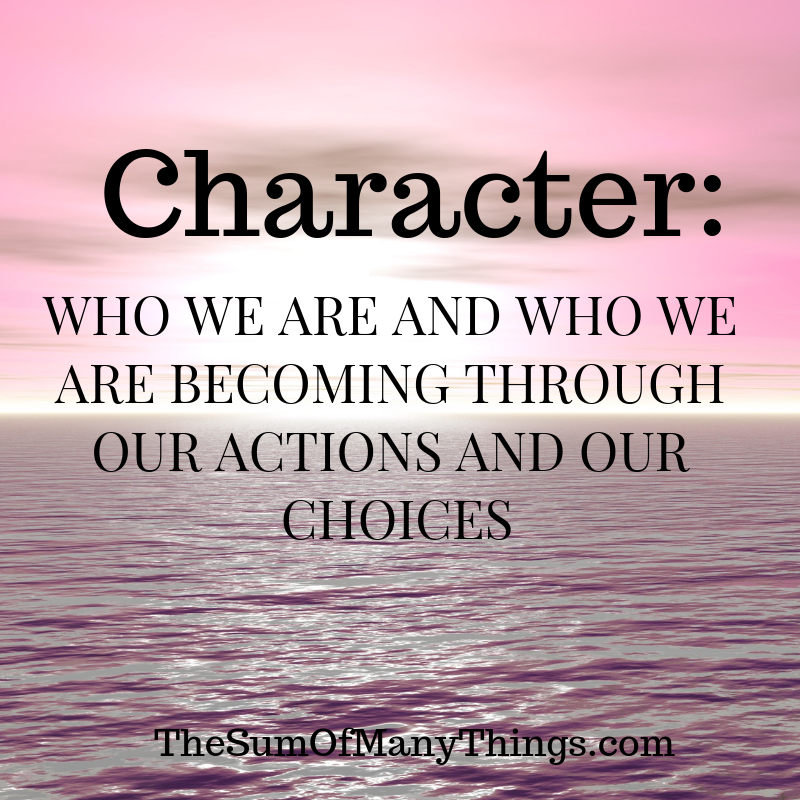 What are three ways to hold yourself accountable to strengthen your character? What are some challenges and/or difficulties you may face in this process? How can you overcome them? Join me next week as we explore Mind and Spirit. For those who have joined the Life Audit Challenge, please share your thoughts with me. Are you discovering anything different? Is the Audit helping you in defining exactly what kind of life you want? Please send all comments and suggestions to me at sumofmanythings@gmail.com.